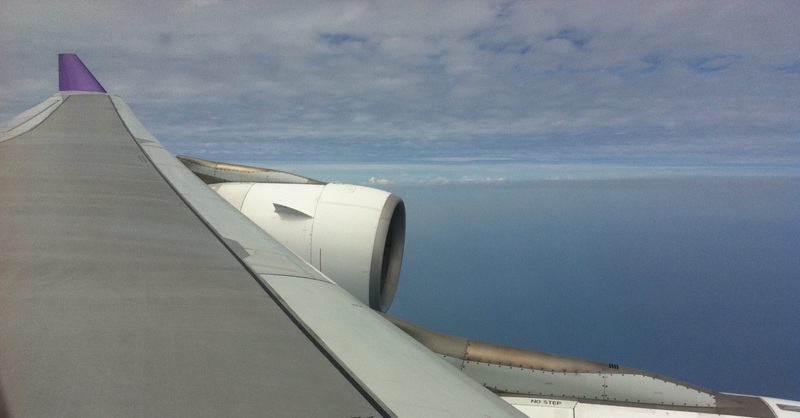 Phuket is often bypassed by backpackers who worry about how expensive it is. But there are some backpacker-oriented places to stay at. 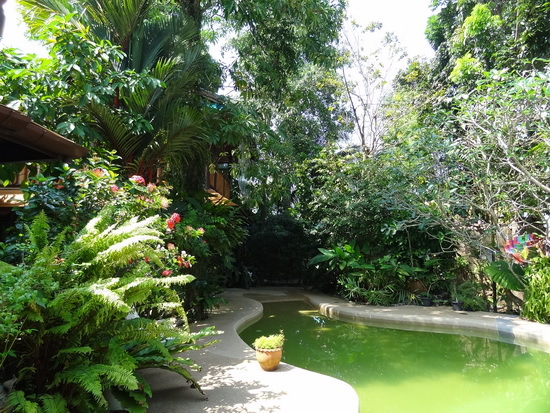 Shanti Lodge is a friendly traveller’s haven in Ao Chalong. Found just off a busy road lined mostly with boring concrete shophouses, this family-run guesthouse offers a welcome oasis. Entrance to the traditional rooms. With heaps of character and a rustic, Bohemian charm, Shanti’s custom-designed rooms are in wood and bamboo, and the swimming pool and Jacuzzi are set in a leafy green tropical garden. 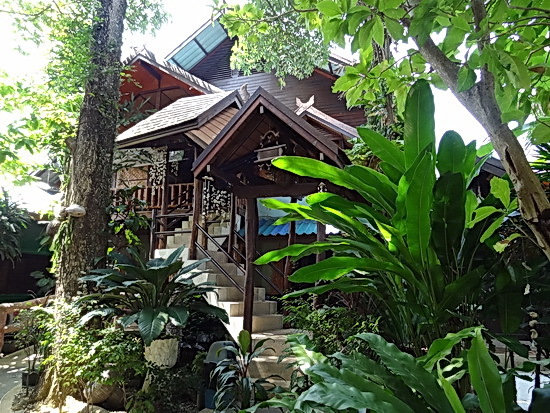 This is the Phuket branch of the popular Shanti Lodge in Bangkok, and the enterprising family has since also opened Shanti Forest resort in Chumphon and Shanti Farm homestay in Kanchanaburi, where many of the fresh ingredients used in the kitchen are sourced. Just add a pina colada for poolside perfection. There’s a small tribe of Shanti fans who move between these four properties on their travels through Thailand, plus more than a few guests who initially check in for a few days and somehow linger on for months on end. Shanti Lodge Phuket has 24 rooms of varying sizes. 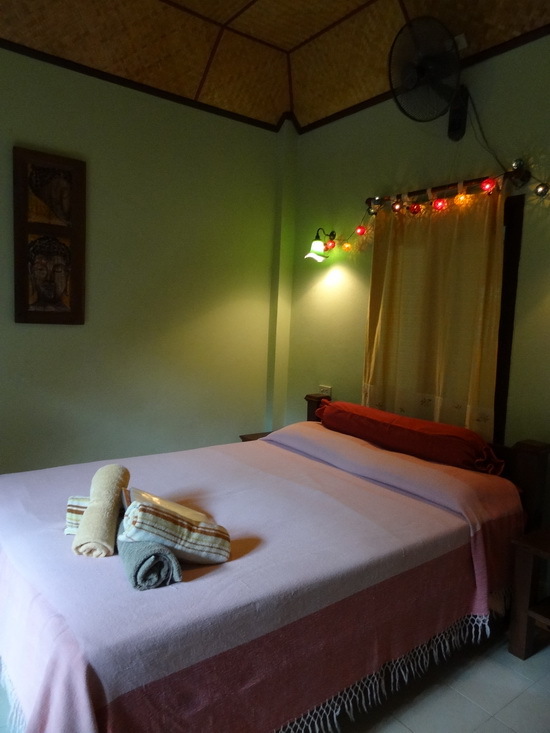 The cheapest digs are the traditional rooms with a shared bathroom, 750 baht for a fan room or 850 for air-con. The rooms are spacious with a double bed plus a single bed with an extra slide-out mattress and a bookshelf stocked with a few books. It’s a really roomy choice for a single guest, and large enough for a family with one or two young children to stay in reasonable comfort. The next step up is the Andaman room with private bathrooms, either fan-cooled rooms for 950 baht or 1,200 baht for air-con. The poshest rooms are the garden kitchen and Andaman kitchen, both 1,500 baht per night with a double bedroom and a private outdoor kitchen and bathroom set under cover. Prices include WiFi, electricity, water, bed linens and maid service once a week, plus all rooms with private bathrooms have cable TV and DVDs. Discounted rates are available for weekly and monthly bookings. This is not so essential in hot, humid Phuket, but all the showers have hot water. The Andaman kitchen suite’s cheerful bedroom. Shanti Lodge runs a travel agency too, so guests can arrange motorbike hire, taxi service, boat trips and other tours around Phuket and beyond. For those without their own gadgetry, a few computers are available in the common area for free. A shop sells postcards, souvenirs and backpacker-style clothing, plus herbal products and locally-made artworks. The heart of Shanti Lodge is its large open-air dining pavilion, the hangout area where plans are made and travel tales are exchanged, sometimes long into the night if the conversations and booze are flowing well enough. The freewheeling vibe here means pets and kids sometimes run amok through the restaurant and around the pool — great fun for families, but not ideal if you’re not a fan of children or dogs. Keeping with the laidback mood, the service is a little “do it yourself” at times – guests have been seen sneaking back behind the bar to grab their own drinks from the fridge, and you hope someone’s keeping track of it. But the food is well worth the wait. In addition to Thai food and a big vegetarian selection, there are plenty of Western comfort dishes like pastas, salads, burgers and baked potatoes, all well priced around 100 baht. The Indian curry with brown rice is excellent, and we also recommend the delicious garden burger. During the low season months (May through October) Shanti often puts on traditional Sunday roasts or themed buffet meals that entice many of the local expats over, too. 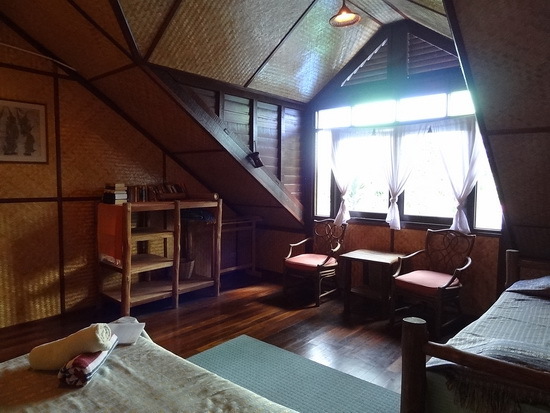 Bamboo haven: Shanti’s traditional room. Shanti Lodge is in a residential area well inland so there’s not much to see within walking distance. To get to the beach or Phuket Town you’ll need to sort out your own transport or catch the songthaew bus (daylight hours only) on Chaofa West Road. The nearest swimming beaches are Nai Harn, a nine-kilometre drive south, Kata beach and Karon Beach, both about seven kilometres away. Found about two kilometres north of the Ao Chalong roundabout, Shanti is well-situated for those doing PADI diving courses, since many dive shops are found around Chalong Pier, and for Muay Thai/MMA trainees with the main Phuket Muay Thai camps located at nearby Soi Tai-ed.